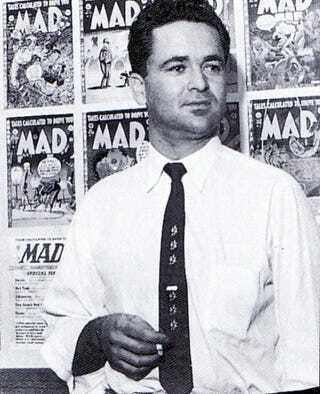 Al Feldstein is one of those people whose impact far outweighs his name recognition. Feldstein was one of the original editors of MAD and the one most responsible for its transition from comic to magazine - a transition that kept MAD going until today. Millions of adults owe their sense of humor to him. Now only a few of the original Gang Of a Idiots remain - Jack Davis, Al Jaffee and Marie Severin. Let's celebrate them while they're still here.